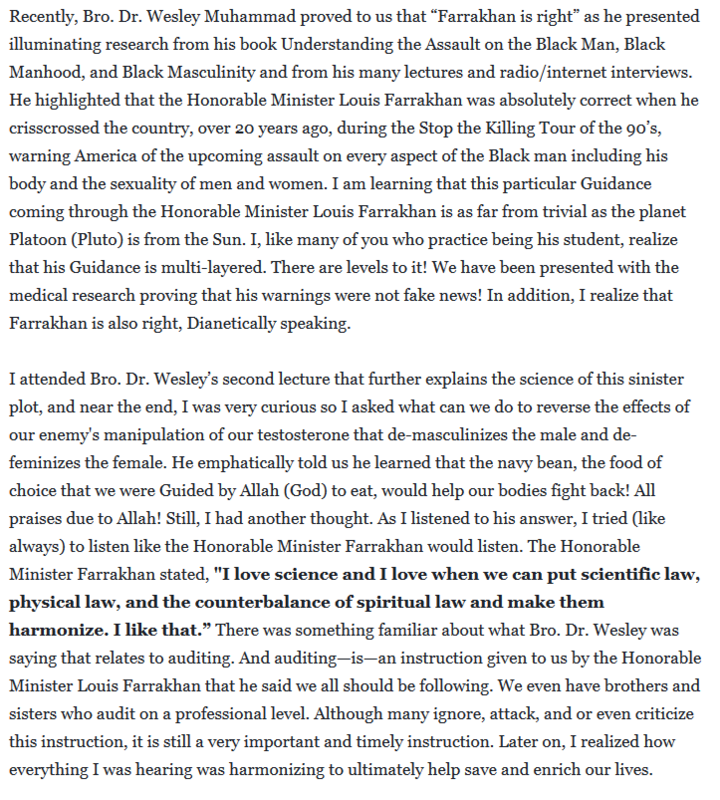 How will DM get Farrakhan's ethic In. heh! 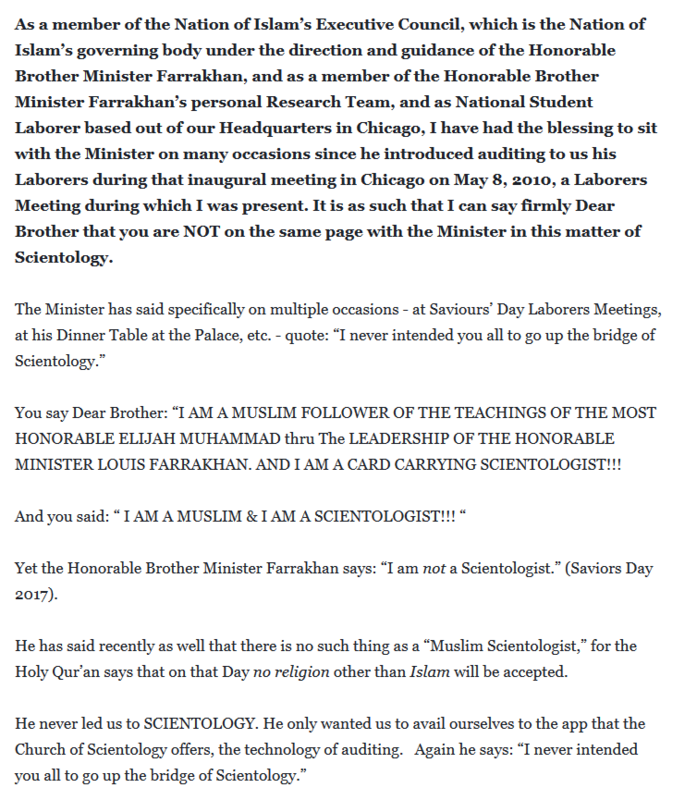 when Scientologist know your Scientologists they hop over your closed gates! 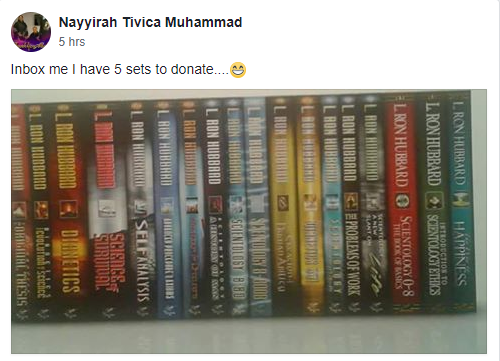 and bombard u with phone calls, texts and junk mail..
Nation of Islam Sister Nayyirah Tivica Muhammad has another five free sets of Scientology Scriptures to donate to members of the Nation of Islam. 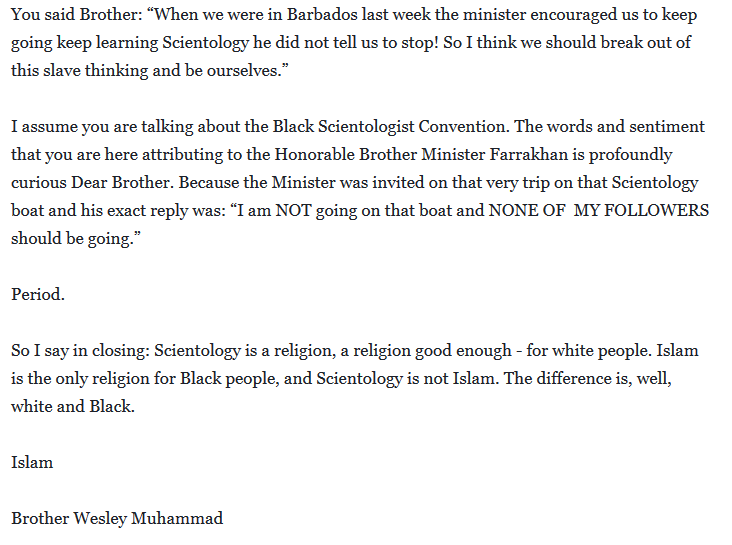 Scientology and NOI each have something the other wants. 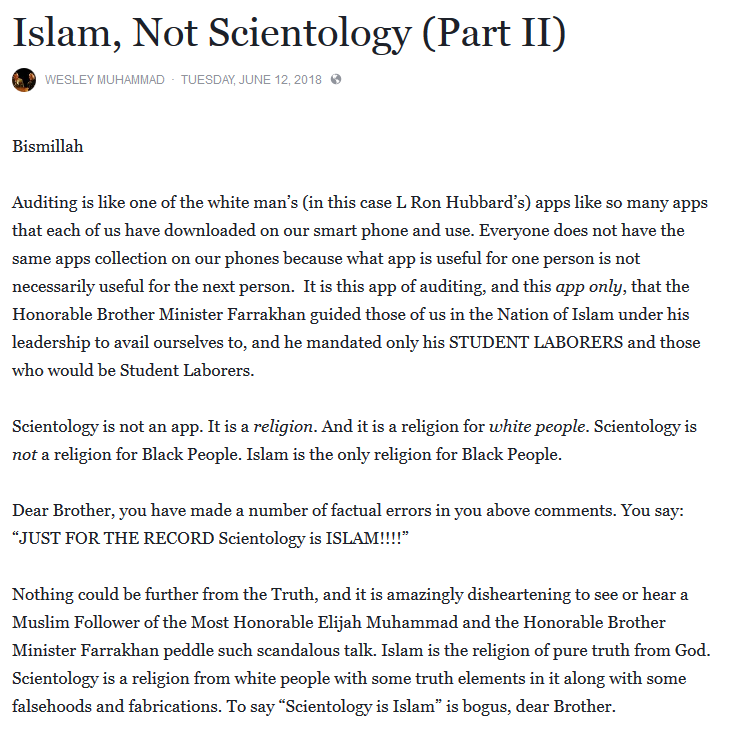 A google search for Soros and Nation of Islam shows a lot of interconnectivity. 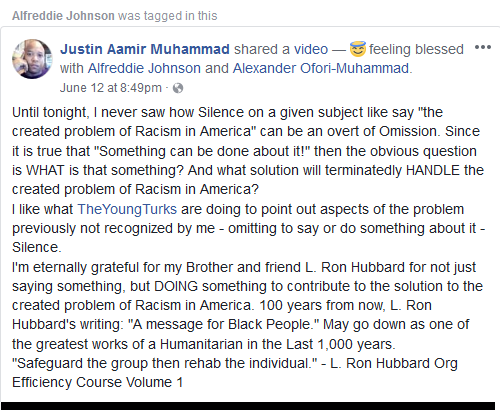 NOI is part of the Democrat Party, Soros, radical left ecosystem. 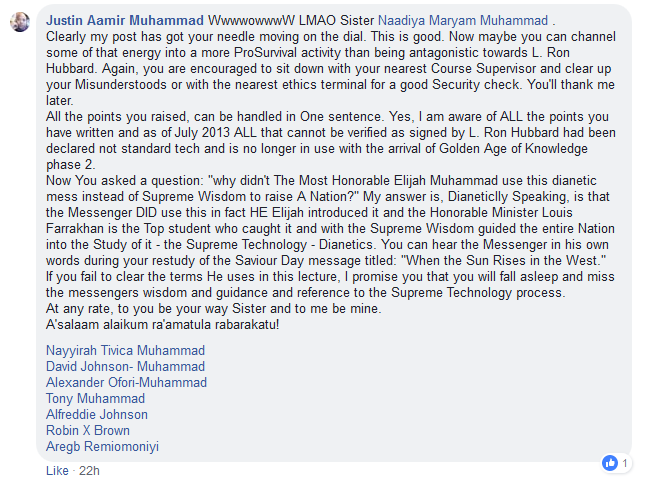 Money and political support flows to NOI in many ways indirectly if not directly. 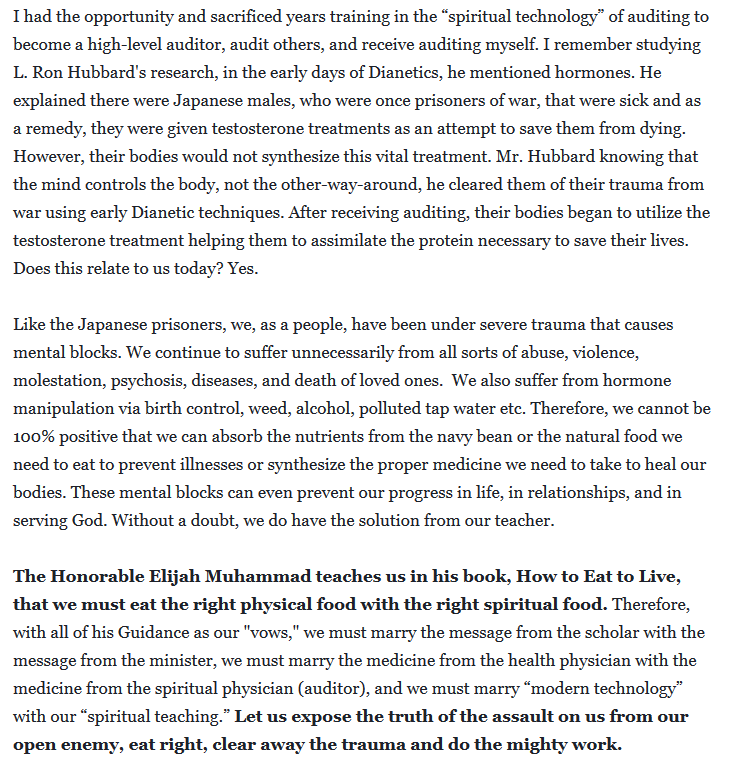 Becoming part of this ecosystem has benefits that would serve Scientology well. 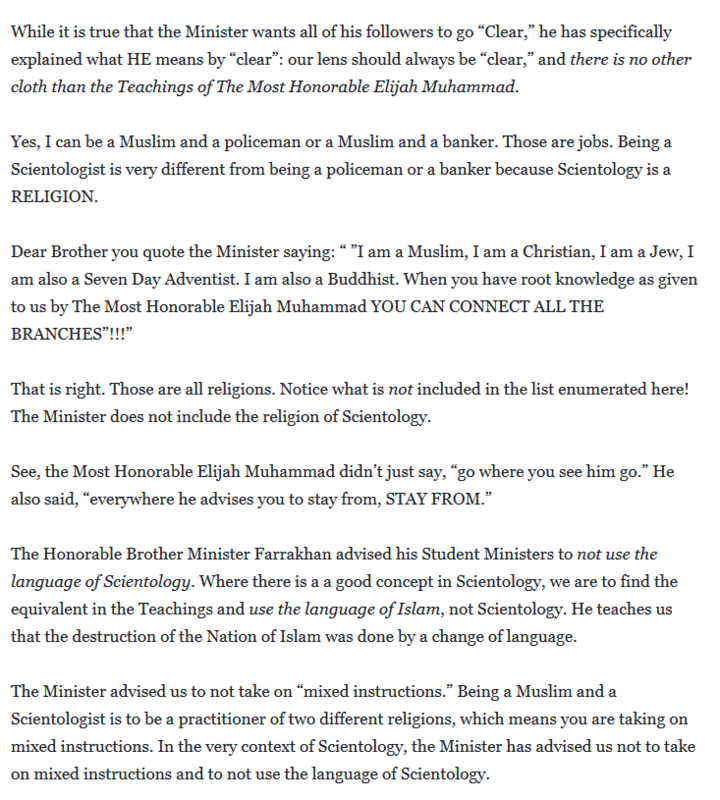 Scientology doesn't need to convert NOI members - they only need to piggyback on their network. 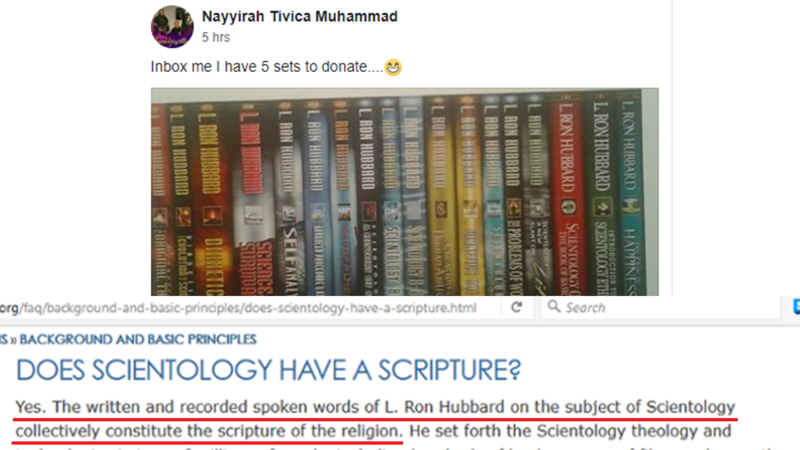 For NOI, Scientology is very successful at one thing, conducting a mafia like business model that evades taxes and culpability under the laws and politics of the US. If each side has a mutual understanding and respect for the other's pragmatic interests then they should be able to cooperate without quibbling over philosophical differences. 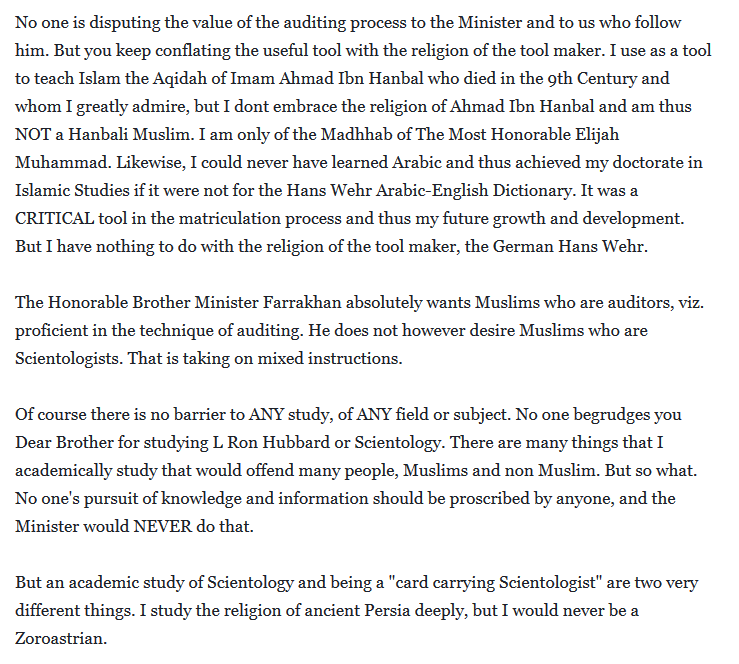 There are competing idols of infallibility; Louis Farrakhan vs Hubbard/Miscavige. 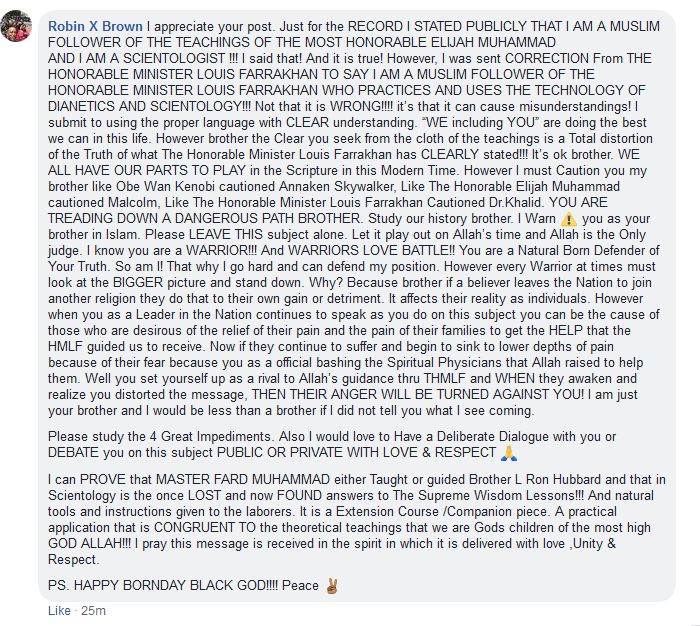 Schisms in NoI are likely to turn into violent conflict. 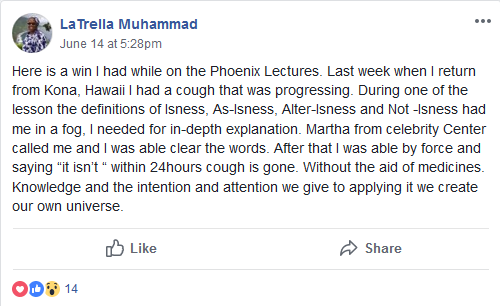 "From this point on, every day at the mosque is a class day. 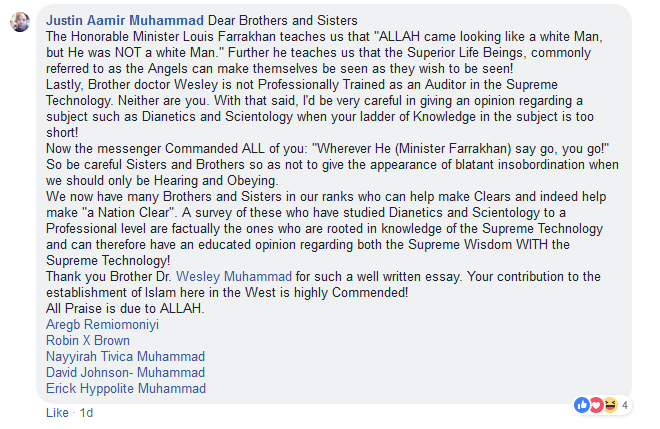 We're all in the classroom of God and we will prepare the study on both sides; the study of the Technology and the study of the Supreme Wisdom and then once we get to a certain point, I'm turning you loose on this world!" 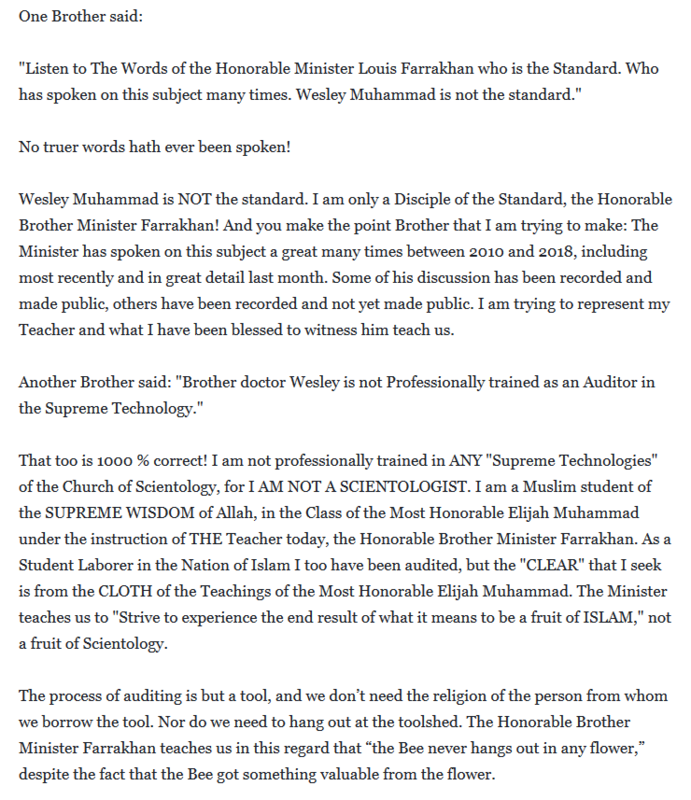 this same speech he told the audience that no one could hold a post without studying and training..
in 2010 the NOI started changing their organization... they started using Hubbard's Administration Tech..
there are videos Alim announcing it..and talking about it. 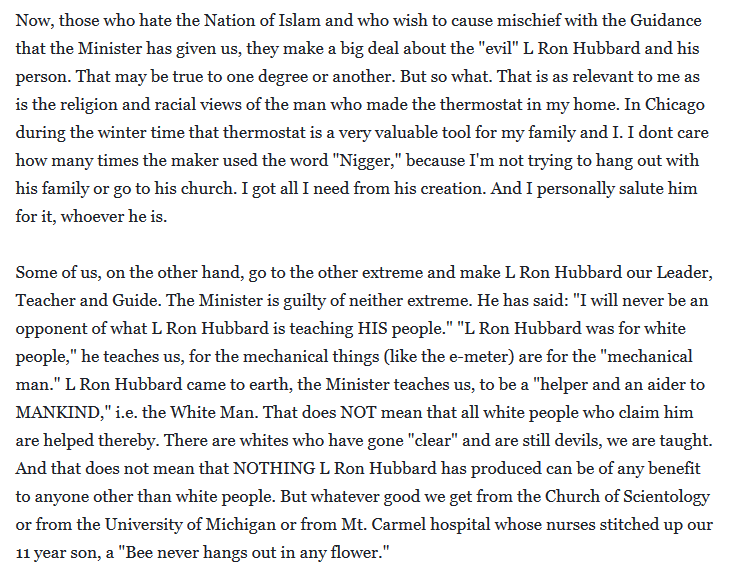 they set up Org Boards and Hubbard's toxic Admin Tech and the whole 9 yards. 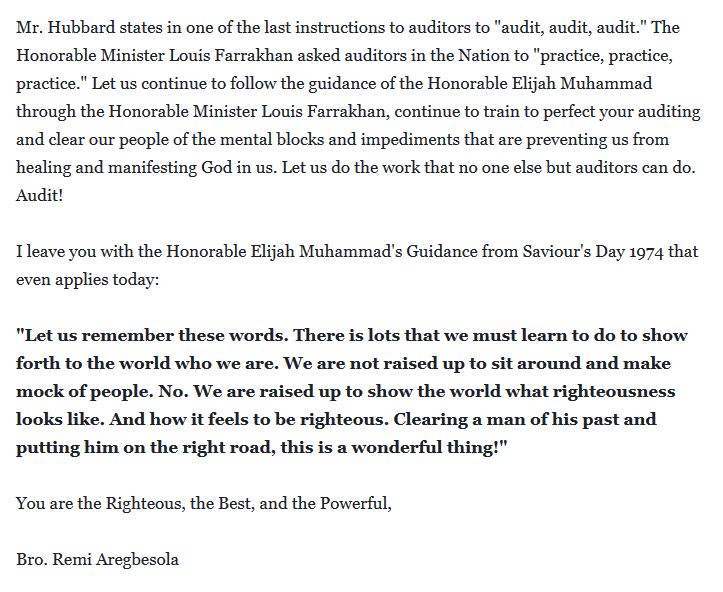 they started sending their reps to Hubbard College of Admin..and had them trained. 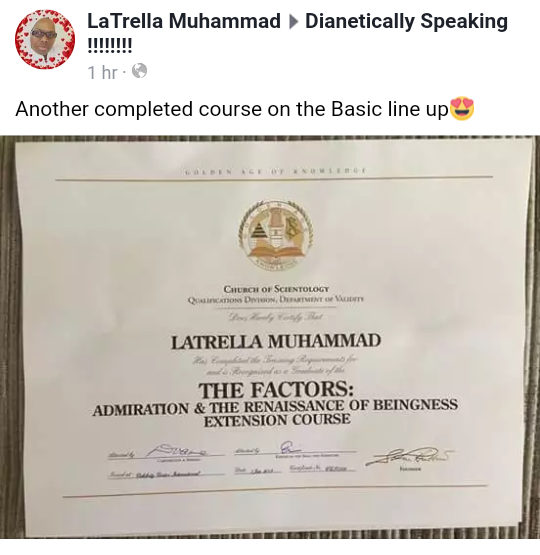 they know Scientology has a toxic public perception..
this same speech he told the Laborers .."there Is money in it for everybody"...that quote was edited out of the speeches ..
Nation of Islam Sister LaTrella Muhammad has completed the Scientology course "The Factors: Admiration and the Renaissance of Beingness." 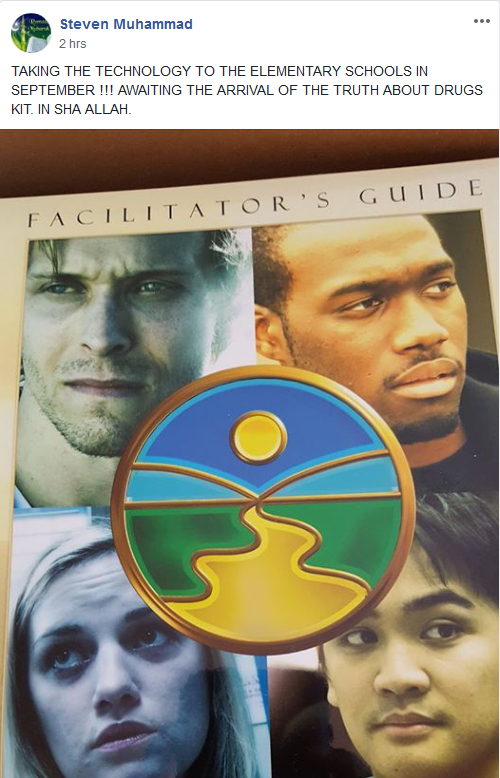 She has learned through Scientology "the knowledge of universal truth unlocking the riddle of creation itself." 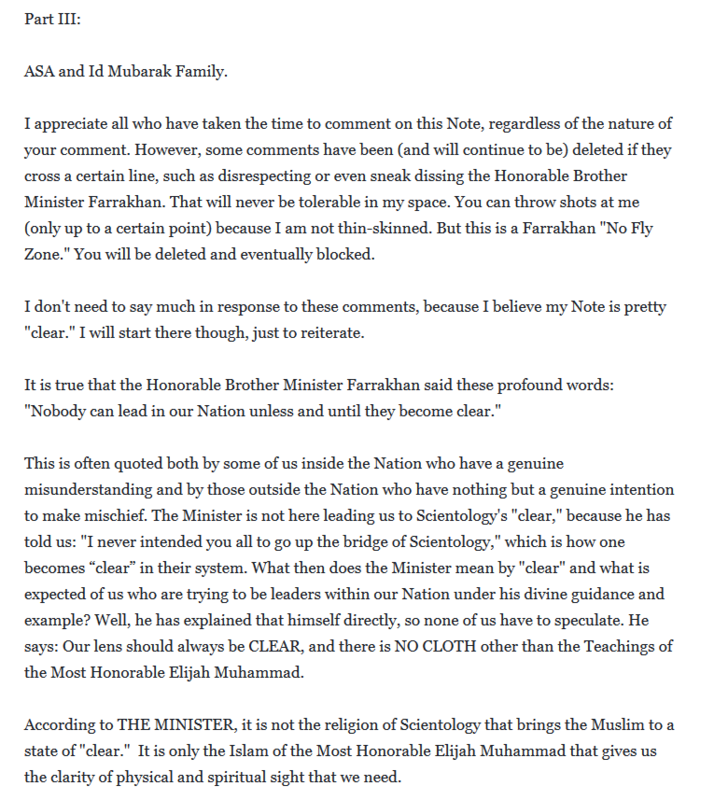 SARCASM: Again, no problem with shirk here. 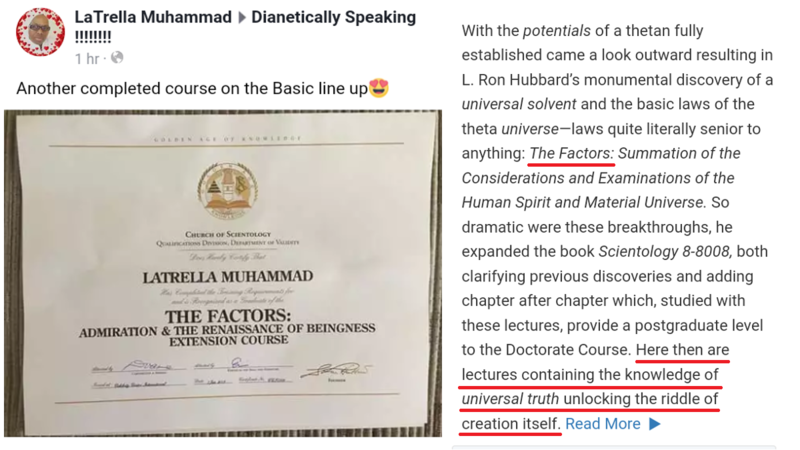 Absolutely nothing inconsistent about a Muslim learning "the knowledge of universal truth unlocking the riddle of creation itself" from the Church of Scientology as opposed to, say, the Quran, Hadith and Sunnah. 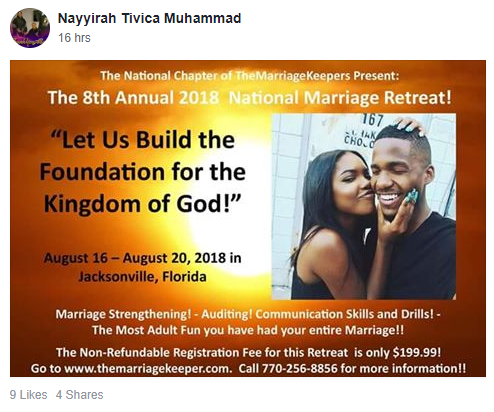 Nation of Islam Sister Nayyirah Tivica Muhammad presents the 2018 National Marriage Retreat featuring Scientology Auditing, Communication Skills and Drills! The most adult fun you have had your entire marriage!! Only $199.99.